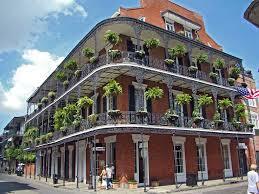 VERTEX is attending the RIMS conference in New Orleans from April 26th to the 29th. Attendees from VERTEX include: Alan Barnes, Don Heim and Tom Cooper. The conference will highlight new knowledge and technology in the industry. With over 10,000 attendees from more than 70 countries, we are looking forward to meeting others and learning about the cutting edge innovations for the insurance industry.